Kickstarter campaigns and crowdfunding have made a lot of headlines this year. Successful (and often record breaking) campaigns for projects like The Lizzie Bennet Diaries web series and the Veronica Mars, Zach Braff and Spike Leemovies brought this concept more into mainstream news and awareness than ever before. In fact, there was significant controversy around the last three projects from people who viewed them as Hollywood co-opting the indie world of crowdfunding. However, brands like Honda and DC Entertainment have a presence on crowdfunding platform Indiegogo without raising eyebrows. If we can recognize this strategy is more about building and engaging audience than about raising money, then bigger players don’t take away from these opportunities but add to the potential audience that can be reached. This issue of From Search to Screenreframes crowdfunding as marketing and uses this perspective to help screen media creators get the most from this tactic (and I’m not just talking bucks). Asking your fans, followers, friends and family about what kinds of rewards to include in your campaign. Setting up a page and populating with content about project, its summary, hook, story to date, rationale for why this will get made, and why it would appeal to your identified niche(s), etc. 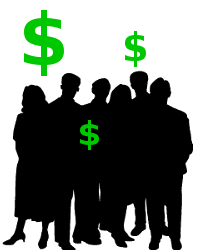 In fact, the “crowdfunding as financing” part of the equation becomes simply one of the many side benefits from “crowdfunding as marketing” when reframed in this way. If you have been strategic, proactive and squeezed everything you can out of this as a marketing tool (which is a heck of a lot of hard work) then the financing part comes much more easily and successfully. This is a perspective that is gaining traction, and can be seen in some very recent articles in both Forbes and AdWeek. It is a one that can help screen media creators shift their thinking and become more strategic in working crowdfunding into an overall marketing strategy. To get the most out of it, it is also important to understand what are the best practices in this space (although as can be seen from the recent set of articles in the Film Collaborative blog there is no magic formula that works each and every time). Know your audience(s) before, during and after your campaign. There is invaluable market intelligence available which can be used whether or not you raise the money you are hoping for. Gather, watch and respond to the data, both qualitative and quantitative. Keep an eye on the data generated and ask, listen and respond to your audience along the way. This is a perfect, authentic opportunity to engage people and help them feel ownership of your project and success (especially the superfans). Keep it simple. Your messaging needs to be clear, your calls to action visible, and your goals realistic. Don’t ask for more than your audience can give or risk losing them. The easier you can make it for them the better your chance of success. Just one part of the promotional cycle. Understand this is just another chance to engage and communicate with your potential audience and an excuse to do so well before you even go into production. You need to build a core audience ahead of time, keep them engaged throughout your crowdfunding campaign and then continue to bring them along for the ride as you move through production and bring your story to market. And don’t forget, crowdfunding milestones and successes are great fodder for conventional publicity and media coverage. The Internet never forgets. Remember your crowdfunding page can potentially live online forever, so incorporate it into your communication and engagement strategy even after your campaign has closed, just like you would with any other social network. This is a practice that is rarely used and so represents a significant advantage if you do it well. This may become my new mantra, as it sums up so many of the struggles of my students, clients and collaborators. It is true. There have never been more opportunities for content creators because of the direct connection to audience offered by the digital world. However, you are being asked to work harder than ever before. Crowdfunding is a strategy that demands much and should be only undertaken with a strong strategy in place and enough resources (both time and money) to implement your vision. In the end, if you have done it right, you may not only raise the money, but also build a valuable community for your brand and future projects. And this is the true measure of success for new digital business models. Promote CrowdFunding through Social Media , why, how many, when, where and how ? Social Media is the most powerful and essential elements of crowdfunding. CrowdFunding planning will customize our extensive social media reach to help you spread the word about your project in your channel and our Social Media channels . We have over 105,000+ Twitter followers and 20,000+ Facebook fans, 2,000+ Google +, 3,000 + Linkedin 3,000 +, Pinterest, CrowdFunding Youtube channel with 200+ subscribers & over 1,168,055 + views(growing every day!) who love CrowdFunding. CrowdFunding Social Media Promotion ? How many CrowdFunding Social Media Promotion? With no existing followers and investors, a $10,000 goal divided by a $25 perk would require 400 donors to become successful. At a 3% response rate, a campaign would need to reach a total universe of 1,333,330 potential donors to convince at least 40,000 prospects to visit the CrowdFunding profile and convert 1% into active donors. The cost to reach any given target audience really depends on the industry be served and the costs to reach them through paid advertising and PR/media relations campaigns. When to start Crowd Funding Social Media Promotion? Where to launch Crowd Funding Social Media Promotion? How to promote your CrowdFunding campaign through social media? We share with you how. Subscribe to CrowdFunding FrameWorks e- learning portal receives 6 months of CrowdFundingFrameWorks ( over 4000 hours) , plus two (2) hours of Free CrowdFunding Consultation by CrowdFunding mentors . Ask us how and we spend two hours to show you . Crowdfunding without a plan, resources and a budget is just a wish! Before starting my campaign, I did not realize that my video would be embedded all over the web – with almost half of the video views outside of our campaign page. When I was editing our video, I thought that text saying ‘check us out on Indiegogo’ would be redundant. As it turned out, many people saw our video on various blogs, and did not know how to contribute to our campaign. Two weeks into our campaign, we edited the video to include this minor change. From that point on, people seeing our video on blogs and other media sources had an easier time getting involved. Of course, you could set video settings to prevent embedding altogether, but that would be missing a huge opportunity for campaign awareness. Also be mindful of where you host your video. We chose YouTube for the SEO benefits. And sure enough, our YouTube video shows on the very first page of Google.